How Technology Hates Me... also A NEW FREE STORY! Do you love technology? (I know, that's a very weird way to start this... I'm sorry). I always say that my technology skills stopped at the CD player. It isn't that I hate technology, it's that sometimes, it feels like technology hates me. The point is that with my lack of technological understanding, I miss out on a few things. I didn't get a smart phone until three years ago because I didn't think I could handle it. GOOD NEWS, though. I've learned if I just shut it off and turn it back on, normally it fixes itself #miracle. UNTIL NOW (I feel so cool). There is this new app called INKLO. You can download it for free at inklo.com. No, they aren't paying me to tell you about them, but I AM excited because I'm part of the inklo family! SO what is inklo? Inklo is what would happen if wattpad and instagram had a baby. Yeah, I'll let you picture that for a moment. Basically, it is an app where authors post episodes of stories and you can comment on parts you like, react to the story in real time, and find out behind the scenes secrets about the stories. DID I mean it is FREE? My first story on there is called SHIVER. I love it! I love Ellis (she's so cool) and Noah (an oh so handsome ghost hunter). Then there is Ada... a 10 year old ghost who totally isn't going to murder you. Nope... totally. Totally not. Most people won't buy a haunted house. Ellis Whitaker needs it. With the rise of home renovation shows and ghost hunting programs, Ellis decides it's about time someone combines the markets into one big house flipping/ghost adventure. She just has to convince a network to take a chance on an unknown like her. What's not unknown is the infamous Sanderson House and the tragedies associated with it. When Sanderson House comes on the market, she jumps at the chance to buy the dirt cheap mansion. Her first night there, handsome Noah Smith, who claims to be a paranormal investigator, knocks on her door and offers to help her with the spirit situation. She should have taken him up on his offer immediately because Sanderson House isn't your typical haunting. The ghosts can and will do anything they want. Anything to cause fear. Because that's what the house feeds on... fear. And it is very, very hungry. I absolutely love this story and I think the app is really cool! I'd love for you to download it and become part of the inklo family. New episodes of SHIVER air every Sunday at 9 am central. There are also other books on there from romance to scifi to adventure to thrillers. That's it :) How do you feel about technology? Does it love you? Hate you? Do you have a mutual relationship of trust and love? What about inklo? Have you downloaded it? 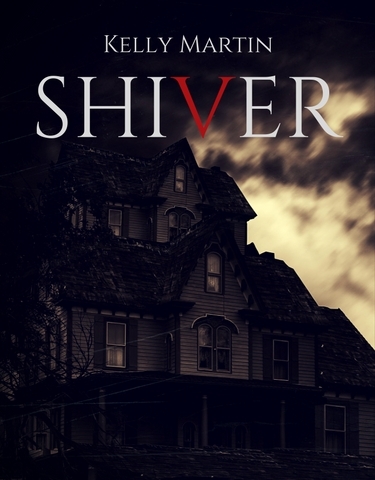 I hope so because Shiver is exclusively there, and I want you to get to read it. Seriously, I love these people. I love the house. Some houses are just evil and yeah... Welcome to Sanderson House (as they say).